I wish I could go study my Masters. Their graduation robes are so much better. 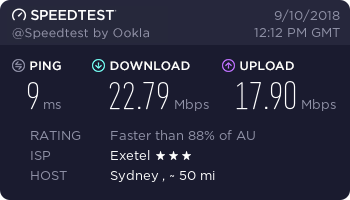 This is actually pretty good for Australia in general. The problem though is that I live in share accommodation and the router just drops me repeatedly, without warning, for up to hours on end. Yeah it's still broken dawg. Have you tried another hosting service? Well do you want to share what that error is so it can be solved? Or do you just want to bump every thread that is more than 2 months old? Considering OP only has 17 posts and this post is from 2016 I wouldn't get your hopes up about this one. Topic: A few things I'd like to say. Re: A few things I'd like to say. Guess who's back. Back again. Bernholm's back. Tell a friend.